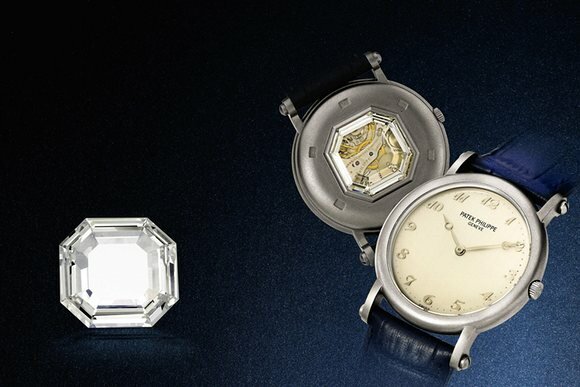 "Important Watches - Including Nautilus 40 Part III" hosted by Christie's, one of the world's leading auction houses, will be held on 28 December in Hong Kong once again to bring together watchmakers and collectors from all over the world. Along many important and rare pieces, Patek Philippe Ref 3843 seems to be the most prominent member of the auction with its 13.43 carat flat-cut diamond crystal. The most important feature of the model is its crystal, which is made of 13.43 carats flat-cut diamond. 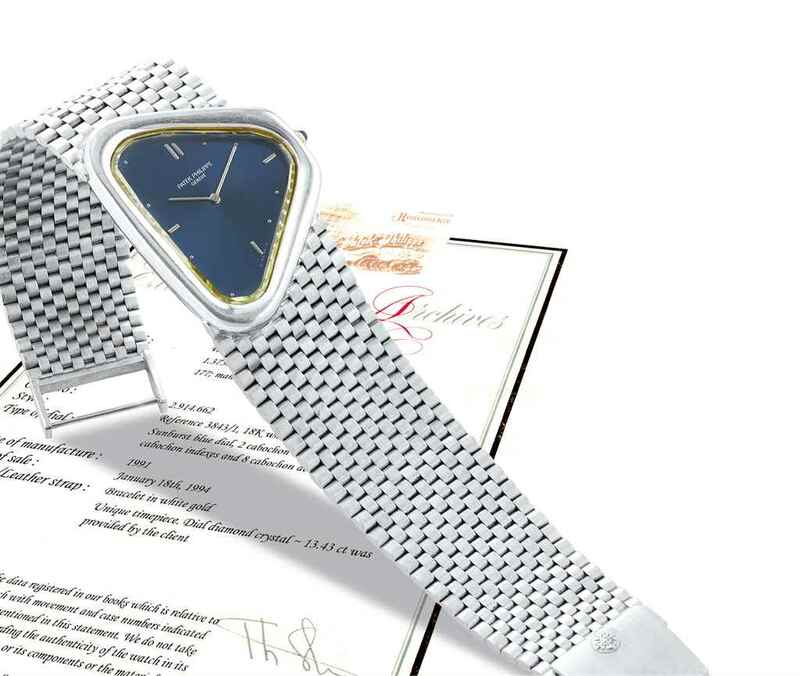 The date of production for the timepiece, which is a successful example of retro-modern use of a flat cut diamond used as a kind of frame in past periods due to its irregular outlines and flat structures, is 1991. The story about the diamond turning in to a wrist watch is interesting. The diamond was handed over to a watchmaker in Geneva first in 1990. Later on, the diamond was presented to Patek Philippe in order to be used for creating a one of a kind custom timepiece. Approximately a year later, Patek Philippe designed an asymmetrical chassis that is harmonious with the natural shape of the diamond and went on to production in 18K white gold. 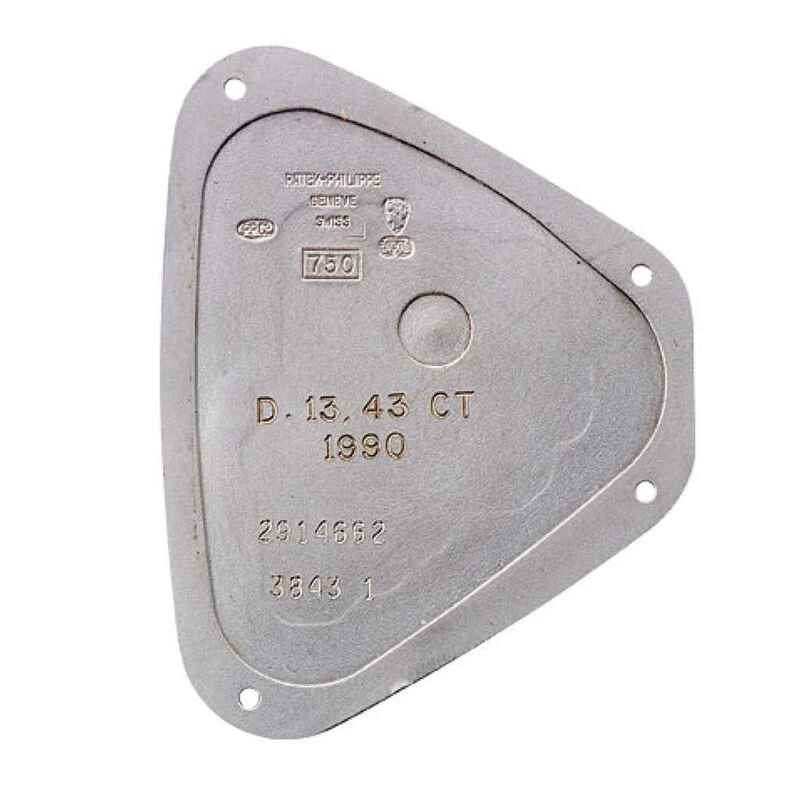 According to the archive records of the brand, the watch was delivered to its owner in 1994. It is also possible to say that the model completed with the 18K white gold integrated bracelet is truly a bespoke piece as the watch is unique and made directly on order of a certain customer. 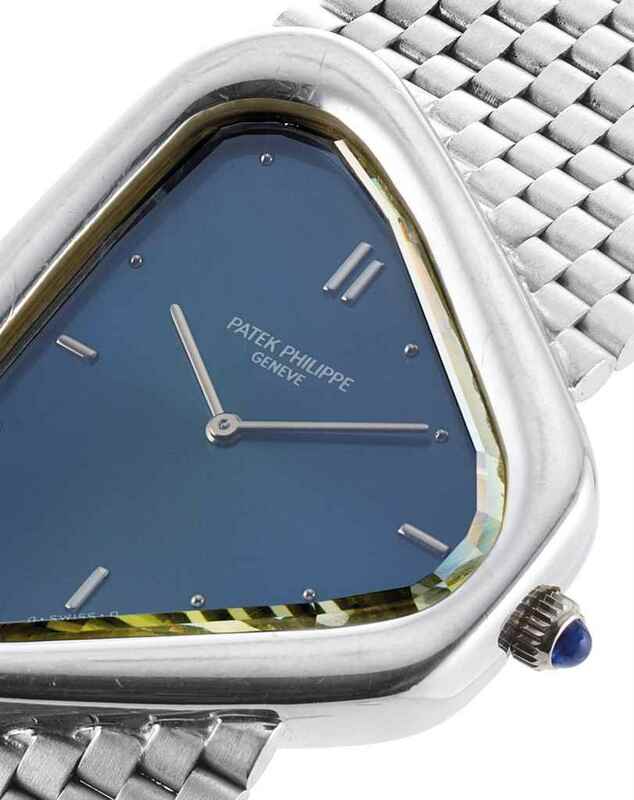 Patek Philippe does not create unique models quite often making this timepiece a pretty rare one. As an example, a one of its kind Calatrava made of titanium, featuring a 9.44 carat diamond employed as a see-through caseback, reached its new owner at a price of $ 737,000.00 during an auction held by Sotheby's about two years ago. It is difficult to see at the first glance that the model, measuring 32mm x 26mm, features a flat-cut diamond as the front side crystal. The facets on the edges and the inclusions visible at certain angles are the clues for the well trained eyes only. Let me remind you that, this is one of the biggest flat-cut diamonds known with a total weight of 13.43 carats. 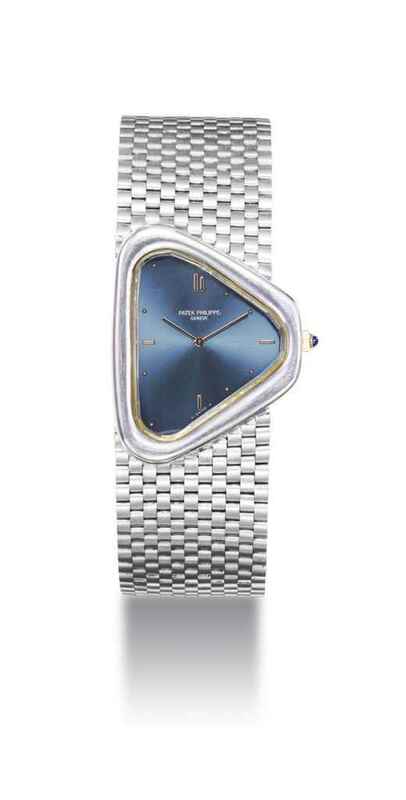 The dial of this interesting timepiece, paying tribute to the groovy designs of the 70s with its asymmetrical case, is finished in metallic blue. The watch is powered with the brand’s slim hand-wind movement Caliber Ref. 177. The caseback is solid with inner engravings featuring the weight details of the diamond and the production date of the watch as a bonus. The Patek Philippe Ref. 3843 is listed as Lot No.2922 at Christie’s Hong Kong sale which will be held on November 28, 2016. The estimated sales price is US$363,000 - US$622,000.